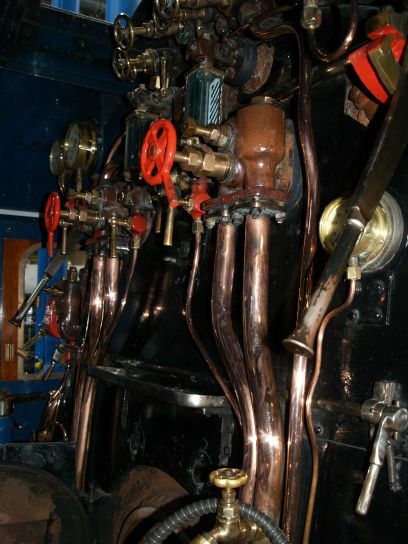 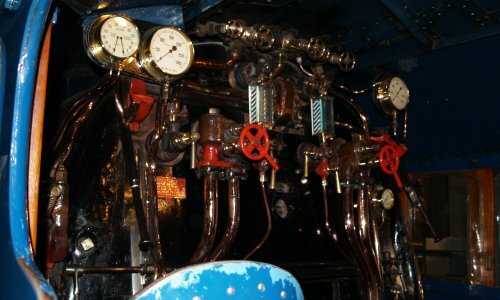 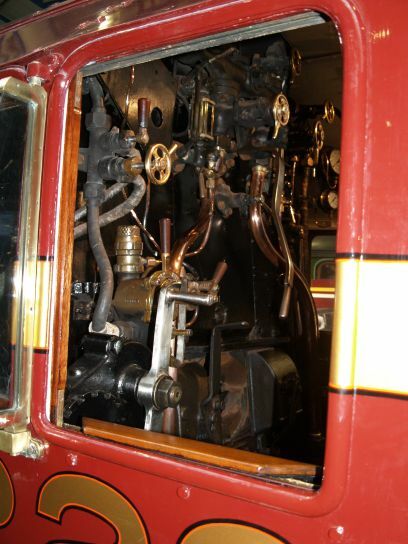 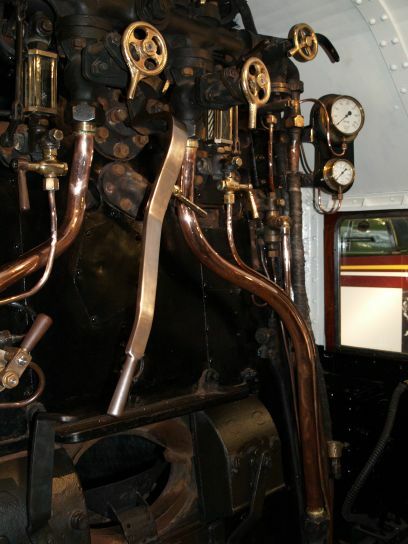 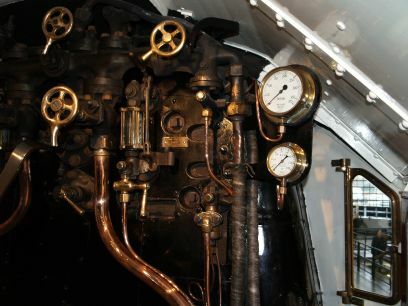 The gleaming controls and gauges in the cab of the famous "MALLARD" LNER A4 4-6-2 pacific, world speed record holder (126mph) for a steam locomotive. 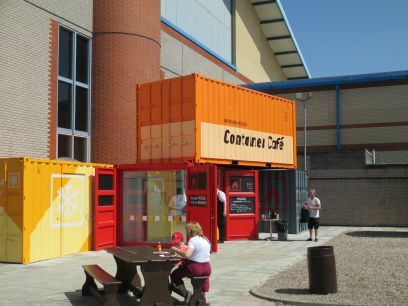 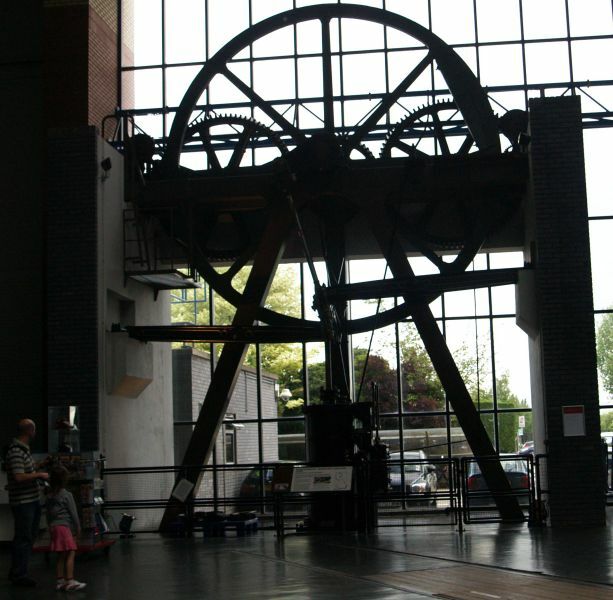 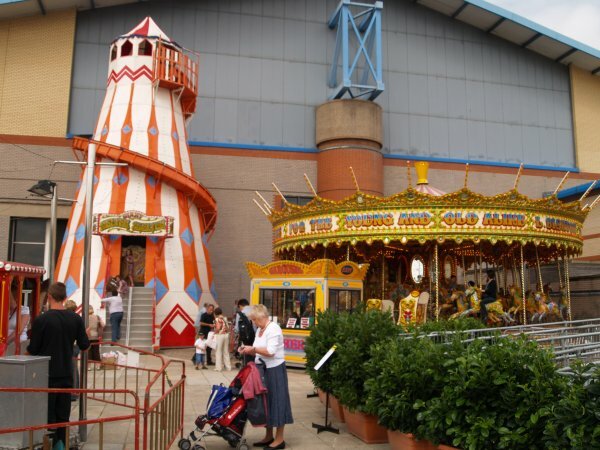 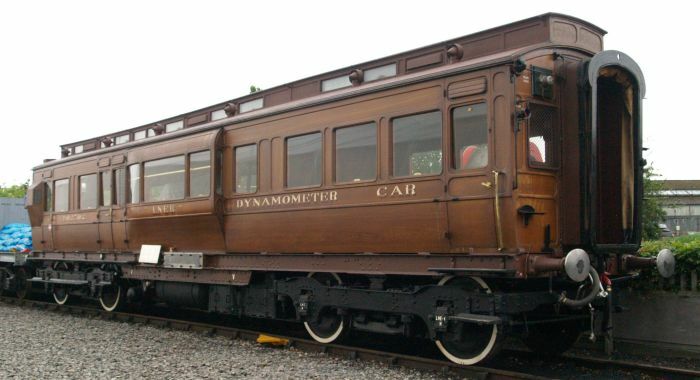 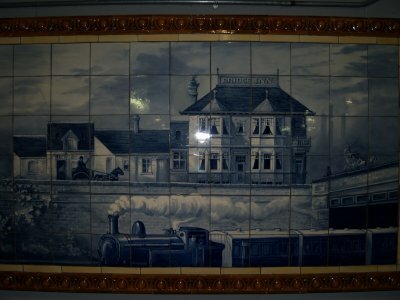 It was originally built for the London and North Eastern Railway Company. 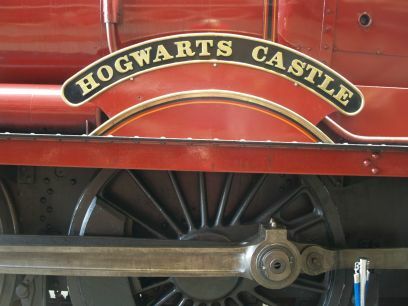 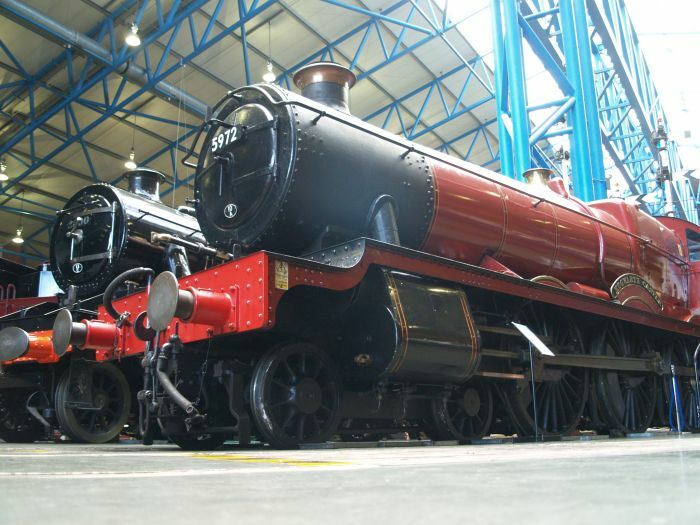 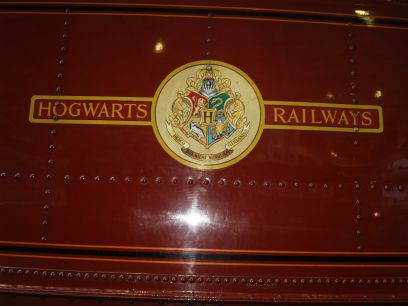 Ex GWR 5972 OLTON HALL 'disguised' for the Harry Potter films. 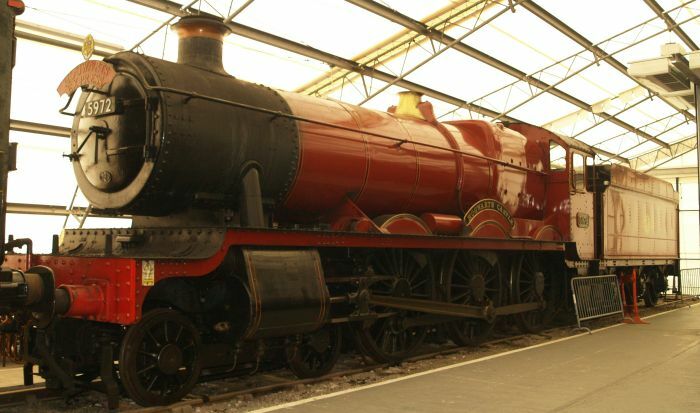 It is a 4900 Class HALL 4-6-0 steam locomotive built at Swindon Works in 1937. 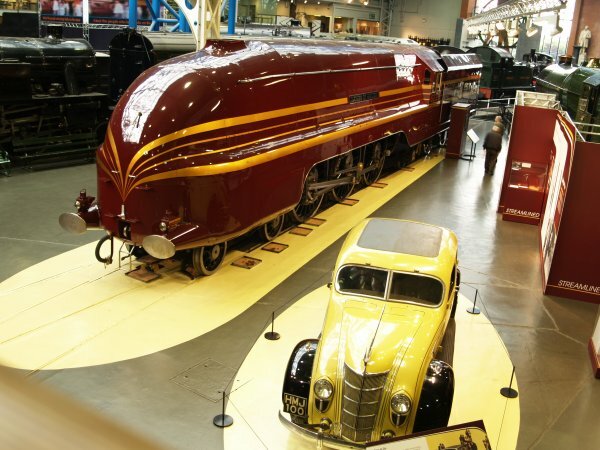 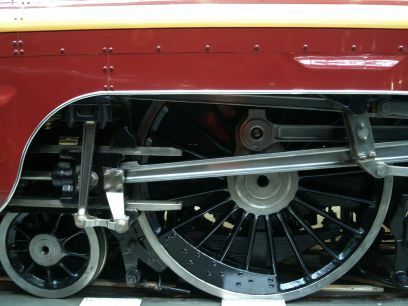 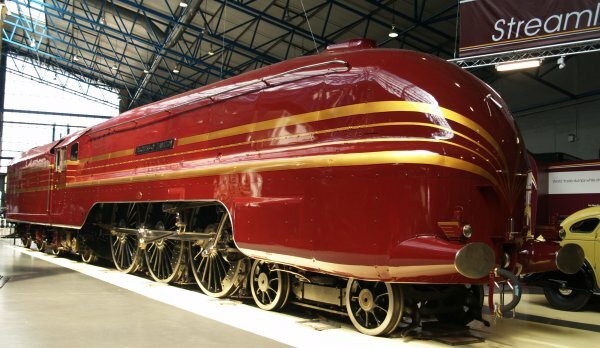 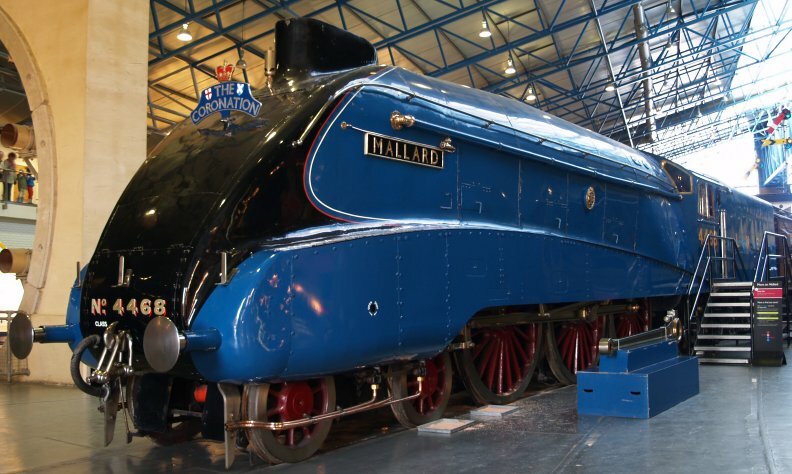 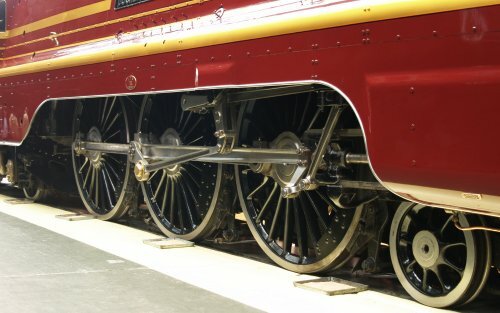 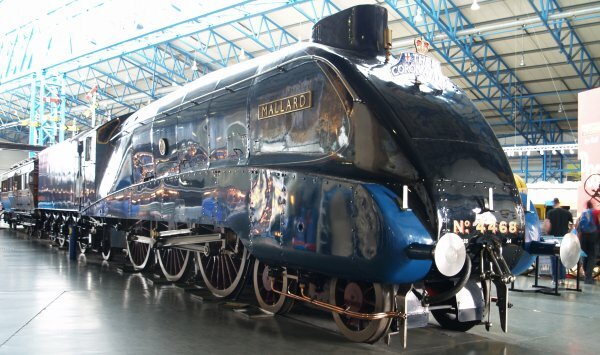 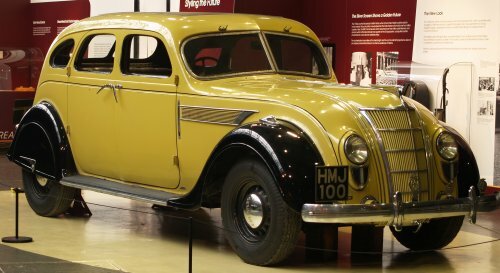 The engine was originally streamlined and designed by Sir William A. Stanier FRS. 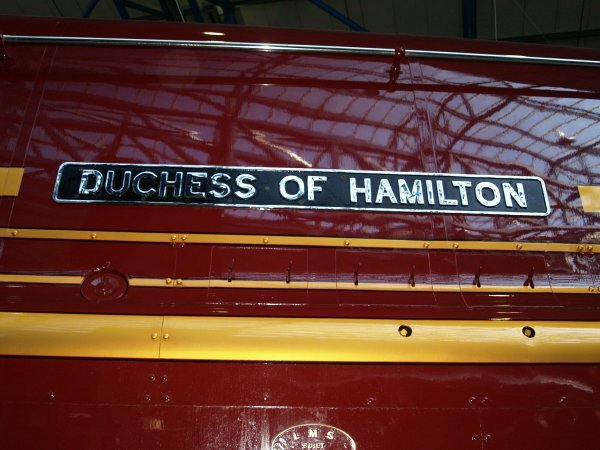 Worked on the West-Coast mainline from London Euston station to Glasgow. 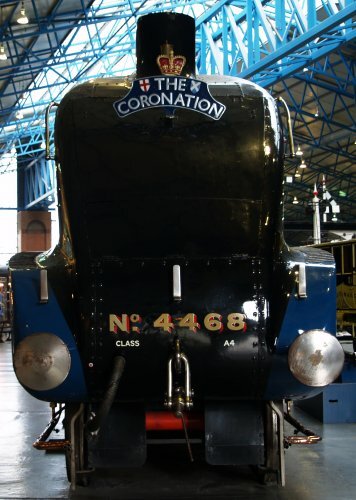 The ex LMS Coronation Class 4-6-2 Stanier Pacifics were some of the most powerful British steam locomotives ever built but the streamlining was removed because it was inefficient in terms of maintenance. 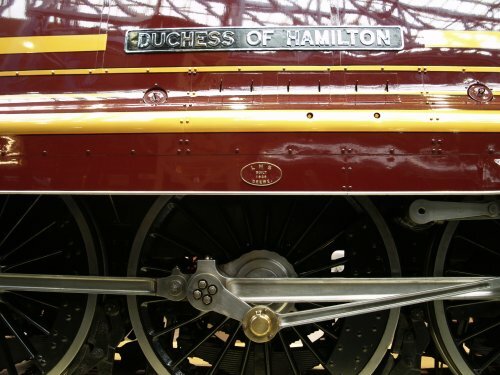 Prior to photographing this in May 2009, 46229 Duchess of Hamilton was least seen belting through Wigan North Western Station ~late 1950's - early 1960's ??? 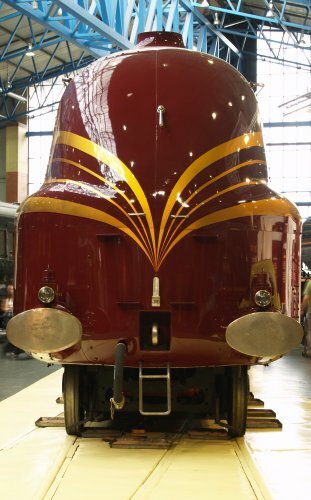 and of course non-streamlined but you could see a tapered end at the top of the smoke box where the streamlining had been. 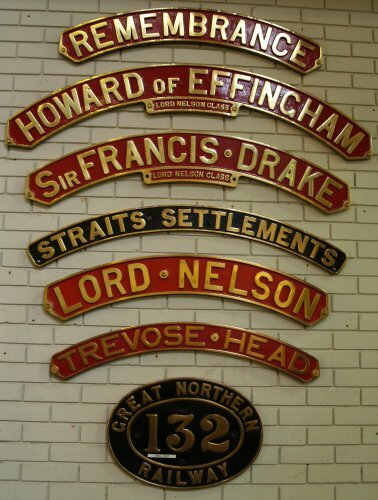 Where we go on the next page! 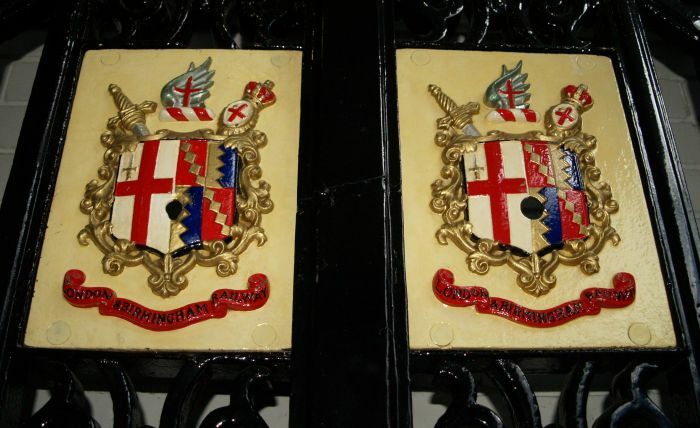 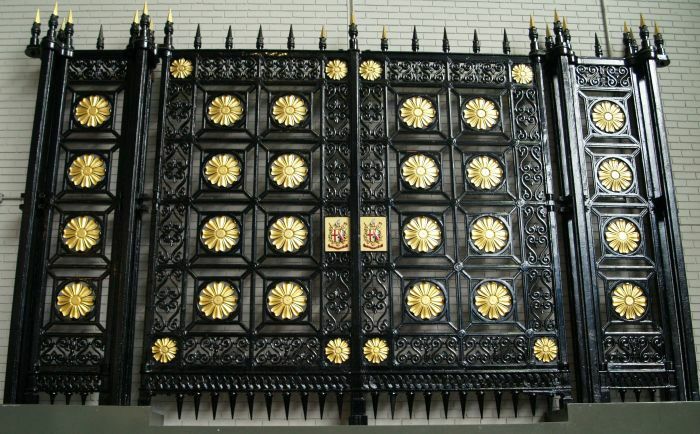 The cast-iron Euston Station Gates from 1838 made for the London & Birmingham Railway. 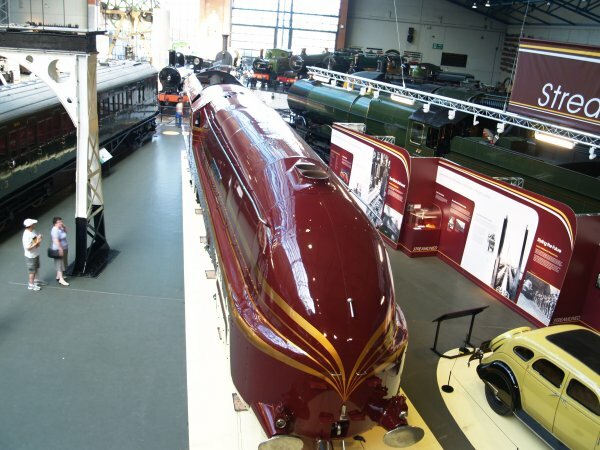 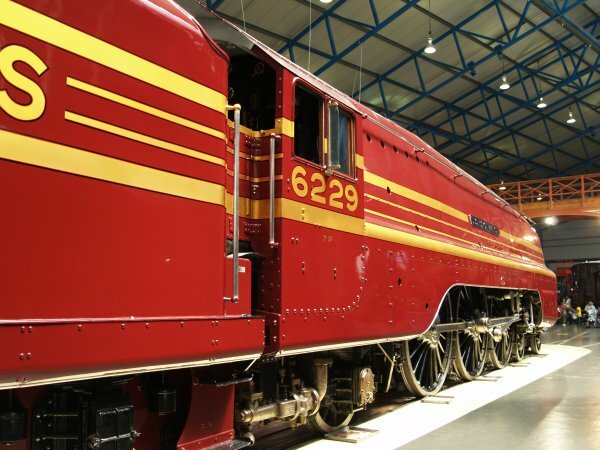 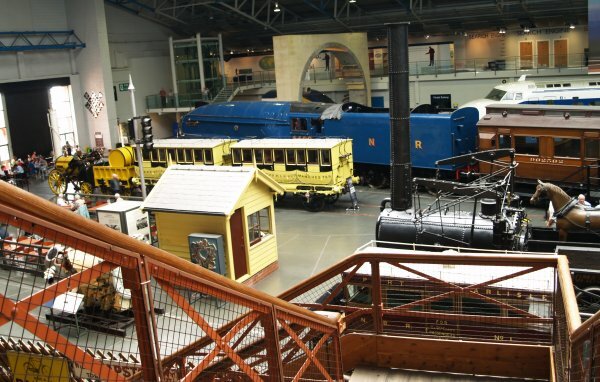 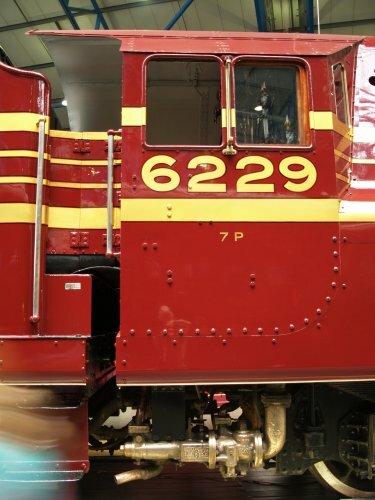 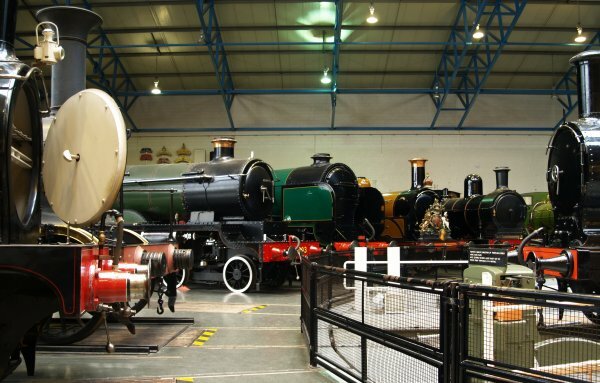 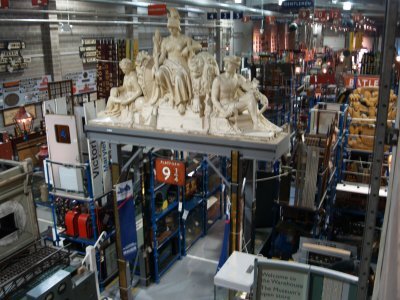 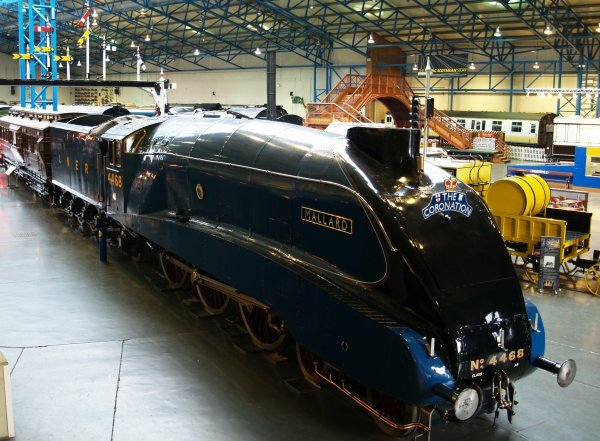 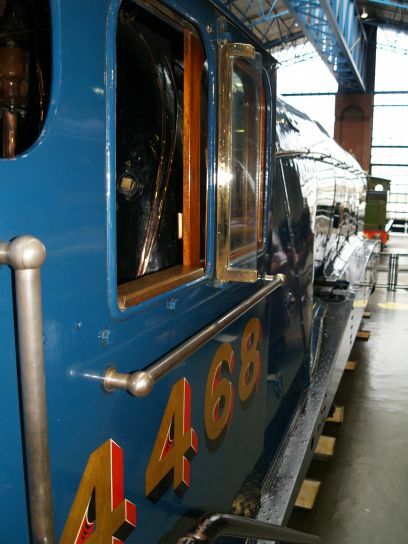 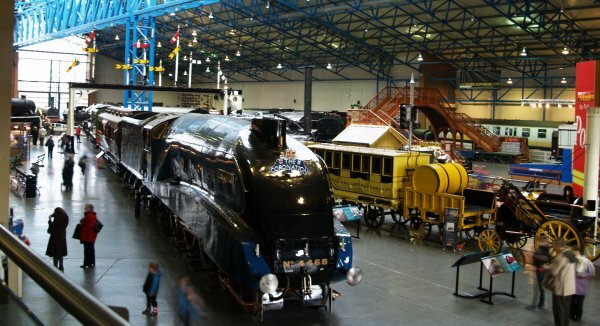 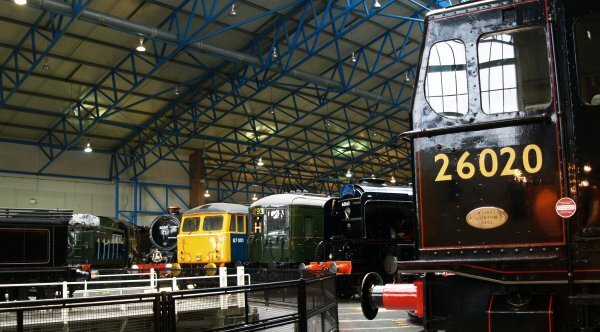 There is a wonderful collection of railway memorabilia. 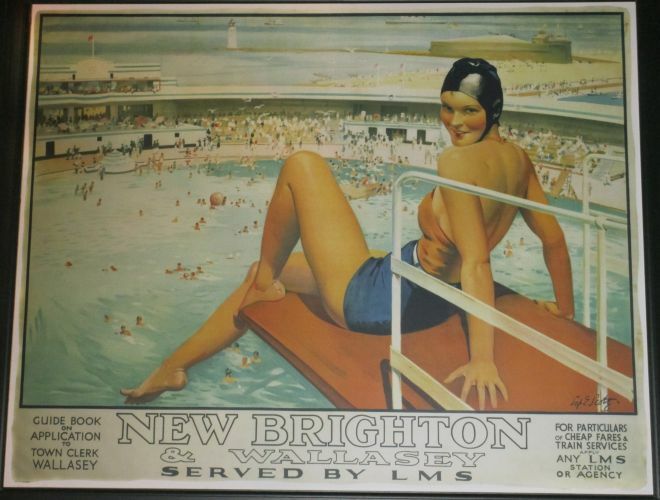 An London Midland and Scottish railway poster advertising LMS trains to New Brighton on the Wirral in Cheshire.